I never knew you in your former life and I don’t think I would have wanted to. But, you know; I take that back. You may have been around the right people. The right person probably took you from a rack and claimed you herself. Don’t be ashamed. You’re out there in the street for the past week. Look at the bright side, it’s not your fault. You may have started out as a horse, some plastic-y stuff or a lovely Indian woman. But, you now rest in between a police station and a 7-11. 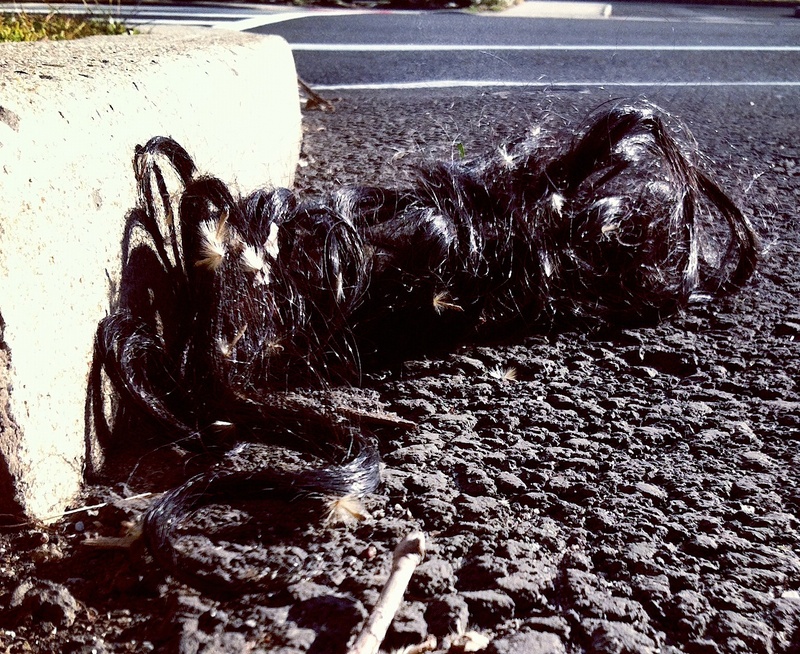 You inspired me to write this o’ weave. If never I see you again, just know that there are many of you out there. And if this made no sense — good. It wasn’t supposed to. So, like, what’s “good hair” exactly? I think Chris Rock made a movie about it that I still haven’t seen. This is actually the type of discussion that would lend itself to a multi-part post. But, like, I don’t have the time, dude. I’m really busy right now. Still some dues paying I have to do. Does it ever stop? I’ll just tell you this: I was born with what could best be called “mixed hair”. Mixed? Like a dog? Yes, like one of those dogs with short wiry hair. No. It got like that way later. When I was little it was fluffy and curly. But since I went to a school with a lot of Jersey kids who used mousse (<<— that’s what it was called), I got sucked into the culture. I made my rough, yet soft, jumble of odd ends hair really hard. Or, my mom put a ton of oil in it. Not Crisco, but baby oil or something heinous. I’d go to school with my hair glowing! And this was like the 6th grade. Sad to look back on that. Nowadays, I don’t have much hair. If I let it grow too much, I start to look like a middle aged accountant. Or worse, an inner city math teacher. I keep it short and to the point. And since I started using my own clippers, man is it cheap. Hair, for many, is not cheap. 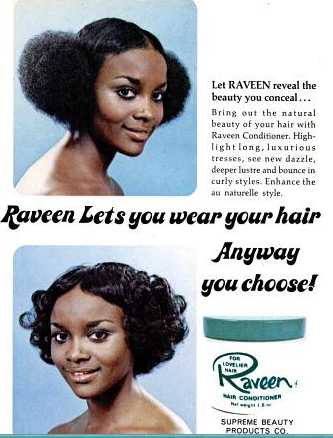 When I lived in L.A., I learned first hand exactly what weave was. Now there’s a lot of deep discussion to get into when you talk about women and weave. I thought I saw it all in L.A., until I was at a CVS in Linden, N.J. and I could see the glue shining off the cashier’s forehead right under the line of her weave cap…or wig cap. I don’t know what you call it. I’m fascinated by it though. The weave was so perfect, so off-blonde, so….straight. Of the two new stores that opened in Linden this month, one is a bakery and the other is a wig/weave shop. Now Linden has two wig/weave shops on Wood Avenue. What does this all mean? I’ll have to study on that one to decide. Anyway, when my kid is born I’ll be curious to see the type of hair that comes out. Will it be “good hair”, which I assume means it’ll be long and luscious like Cindy Crawford circa 1990? Or, will it be “hair, hair” which means just regular old hair that the kid’s going to have to figure out how to manage once he or she gets of age to give a what? Whichever it is, I won’t be adding any baby oil to the equation. Photo is from a Jet magazine I found via Google books. If I didn’t have a thesis project due in less than a month I would really break down how the video post here is related to this New York Times piece, which provoked a lot of responses. The way MO-HAM-Id rolls off O’Connor’s lips is slightly aggravating, but I like the way Malcolm handles this panel. I can envision the TV viewers who were alarmed beyond all recognition when this originally aired in 1963. Sometimes, while reporting, it seems necessary to have the forced cordiality that Malcolm has with the folks aiming for his dome in this clip. For more old Malcolm TV, check out this clip. As I’ve mentioned before we’ve switched our focus from BK to BX. One of my first pieces is on one of my favorite subjects: Black folks who happen to be Latino (or vice versa). This story found me and it’s been told 10 different ways by people with a keen eye on New York’s subcultures. I’ll soon post a piece from the Bronxink.org explaining what this is all about. Strong Black woman. 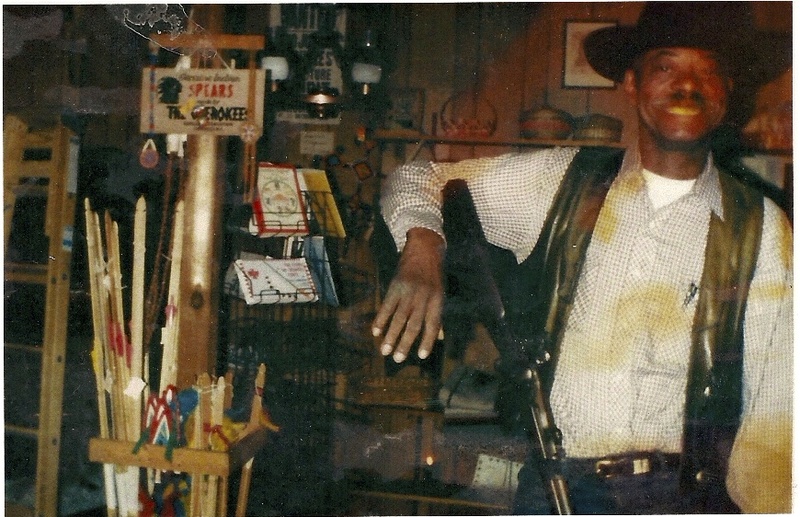 Man, I have so many memories of grade school and Black History Month; the little posters taped to the classroom walls for a month, the book reports and the coating of sugar on the legacies of dozens of fighters for justice. It was all entrenched in a message that freedom is good, slavery and oppression: bad. All my grade school teachers were Italian, I think. Or Polish. Definitely white. I’m not sure we understood it via the passages in our Houghton Mifflin textbooks, or the TV documentaries. 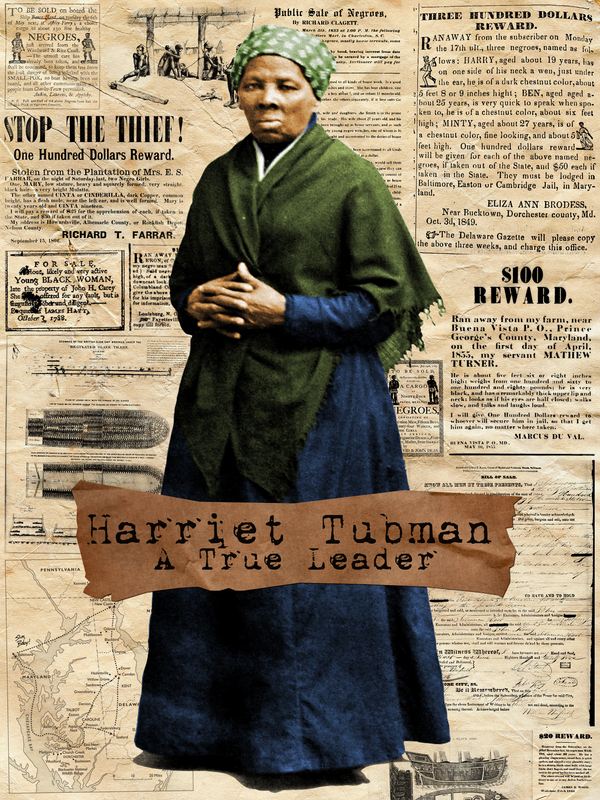 So, I offer you here, the strong Black Woman that was Harriet Tubman. This ancestor’s spirit continues to inspire the oppressed and she wasn’t only a voice for Black folks, but for women, period. Listen to Maya Angelou, in her authoritative baritone read about the woman who helped free slaves via the Underground Railroad with a bounty on her head. Tubman was born into slavery in Maryland. In 1849, she fled to Philadelphia but returned to Maryland the next year to begin the first of many Underground Railroad trips to lead family and friends to freedom using caution, skill, and subterfuge. Some passengers she escorted to Canada. In the Civil War, Tubman was a spy and scout for the Union in the Sea Islands. In 1896, she spoke at the convention of the American National Woman Suffrage Association convention. The homie Sandro Panza just asked me if I’m named after Hannibal from the A-Team or if that’s just a coincidence. I was a super sick fan of the 80’s show, but I was born a bit before it, so that’s a dumb question. Sorry, Panza. 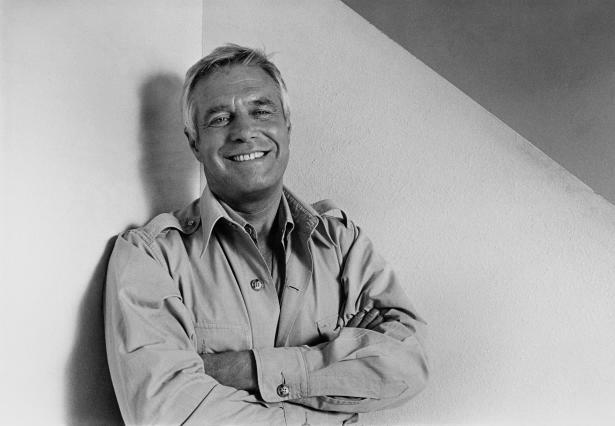 George Peppard (R.I.P) was no doubt my favorite TV character at the time, next to Cliff Huxtable, B.A. Baracus and Alex P. Keaton. But I’m not named after him. My folks were on some Brown Pride, Black Power trip and thankfully gave me a name that represented. 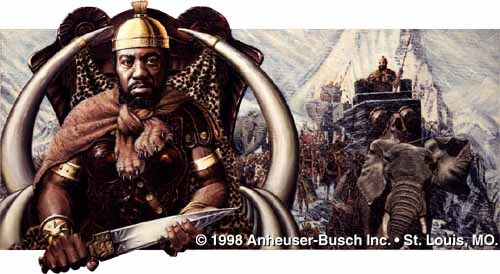 So, I was named after Hannibal Barca, defeater of the Romans. My assignment is Brooklyn. Within that assignment I have to choose 1 hood out of 3 possibles. 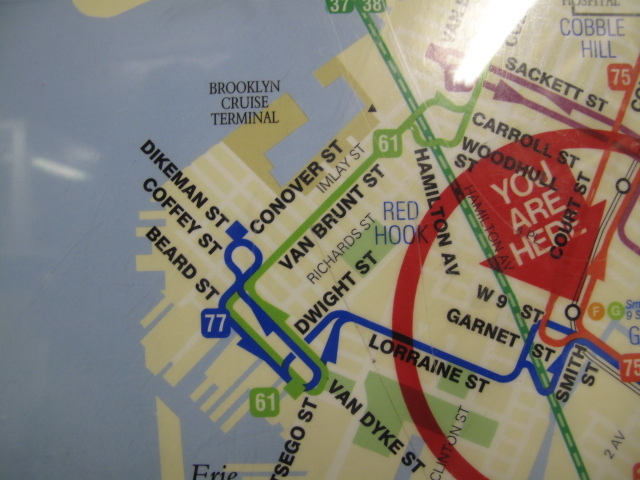 Although I began my research mission in Sunset Park, I ended it in Red Hook. A couple of my fellow classmates scoffed when I mentioned the Hook. “It’s a dead industrial zone,” one said. “Oh, that’s where the Ikea is,” snorted another. Maybe they were both right. My first time ever stepping foot in Red Hook took place this past Sunday. 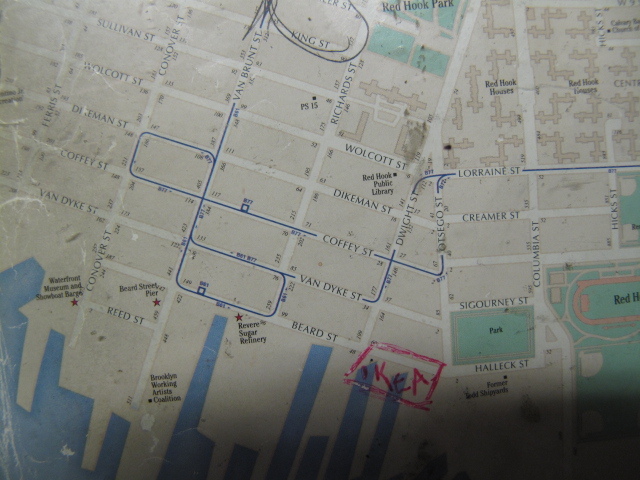 I got off the G train (I like the way that sounds…the “G” train) at Smith St. and 9th. It was raining off -and- on that day. A table was set up on the wet concrete outside the subway. Veronica, as she told me her name was, sold chopped fruit and agua de mango y de piña on a table covered with a red cloth. A man and two children, probably her family, played soccer with a plastic bottle as the G roared above. Veronica was even selling the pin wheel looking chicharron I snacked on so many times in Mexico City. Was I still in D.F.? Nah, I was in Brooklyn, baby. 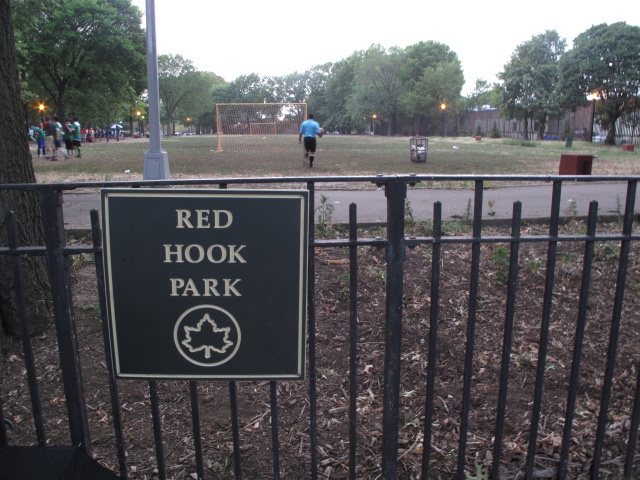 Just a short 10 minute walk from the train, family day was going down at Red Hook Park. 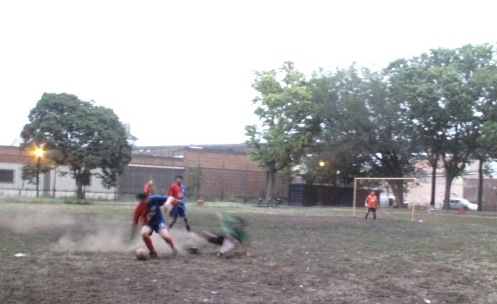 A local soccer league was kicking up dust, despite the clouds and drizzle. 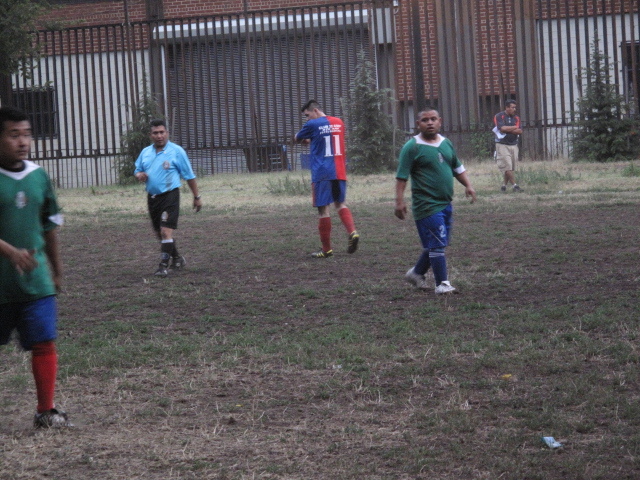 Busting out my camera to snap flicks of the vatos playing futbol, I had to ignore the fact I was arousing suspicion. Who is this guy snapping fotos? I got dozens of the “who the f*** are you?” grills. But like my man Tone says about being a true reporter, sometimes you gotta be a dog.